You will need to implement some code handles localization changes based on changes to the Url. i.e http://mydomain/en-US should now render text from Resources.en-US.resx. a) Set the current Thread culture . b) Add language and culture to the route data if it does not exist. If you put this code in a Global filter you might find it works at first glance but any text rendered via Model attributes (e.g validation text) do not render localized versions. This is due to the MVC life cycle. 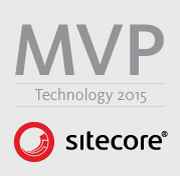 Sitecore 8, Octopack, .Sitecore.Speak.Important.config not included.